An extraordinary twist of the tower defence genre that puts you in control of the armoured convoy making its way through the heavily defended streets of a city captured by the alien invaders. 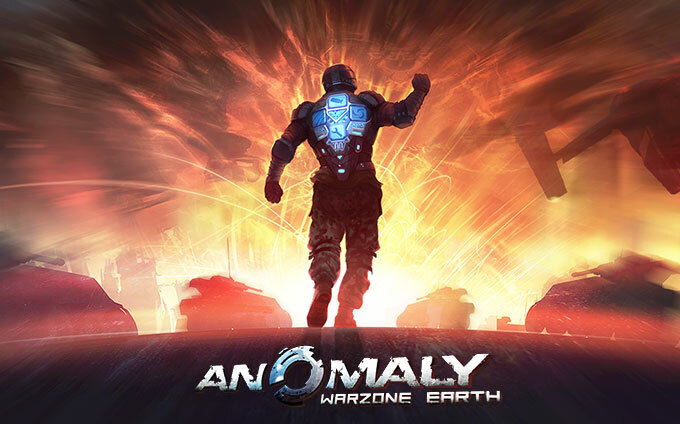 For a limited time you can grab a free copy of Anomaly Warzone Earth (steam key, DRM free download). Now you can get your key from your account profile section. You will also receive an email with a link aswell. This is a great game! I have the entire series. If you like it, be sure to check out the other games in the series aswell. I plan on doing this fairly often if everyone likes the idea. So let me know if you want more of Skully's Free Game Tips! I have an alternative idea. If you can afford it, buy the game at full price. This way you support small developers whose work you enjoy. Not an option for everyone, I understand, but it's always nice to think of the devs. Keep in mind this game doesn’t work on some Linux systems that otherwise run most games fine, and the developers don’t care about fixing it. I’m running Arch Linux 64 bit and the nvidia blob and the game doesn’t start. I am running on Arch based Manjaro 64bit with nvidia blob and all the series work perfect out of the box. So do they have something to fix or do you? It used to break for me due to "Extension EXT_texture_compression_s3tc not supported." It's a proprietary form of texture compression required by many games. Not having this causes games to have black textures or have everything black, or in this case, the game to shutdown when it sees you don't have it. I found the following solution a while back, fixing Team Fortress 2 Black textures, wine games black textures, The Dark Mod black textures, Anomaly, and many other games. In some cases, it even fixes missing cursors. Or whatever other game binary, or before running Linux Steam. Remember, you have to export that variable EVERY time you run the set game unless you set it permanently. Skully I am running on Arch based Manjaro 64bit with nvidia blob and all the series work perfect out of the box. So do they have something to fix or do you? You’re obviously dumb and/or can’t read. Edit: what I mean is, I’ve taken the time to list several discussion thread that clearly show it’s far from being "just me". And many many games work perfectly fine, so why can’t THEY (11bit) make THEIR game work fine too? stan Keep in mind this game doesn’t work on some Linux systems that otherwise run most games fine, and the developers don’t care about fixing it. I am running Arch with the Nvidia blob and this is like one of 3 Linux games to ever simply run @ 5760x1080 across all of my monitors "out of the box" without me needing to tinker with config files or resort to xorg.conf trickery. It gets TWO thumbs up from me! EDIT* The game doesn't exit right, it left me with a small window that I had to kill -9 <pid>.. but I can deal with that. It actually seems pretty cool. I almost wish I didn't have prior arrangements for this evening, but Ill be playing some tomorrow while recovering from my hangover for sure! NOTE* not sure why the screenshot looks like it has massive screen tearing, it looks great in-game. Wow really, you show me 3 links with a combined total of only 8 people with an issue. I don't think you could of found a game with less people having a issue. One of the threads has had a complaint since jan. It would take waaay more people than 8 people to make me think something is wrong with it. Calling me dumb was really un-called for. GOL might not have a blocking feature but they have a ban feature, so I would try a be a bit more pleasant in future. Or just don't reply to my Articles.